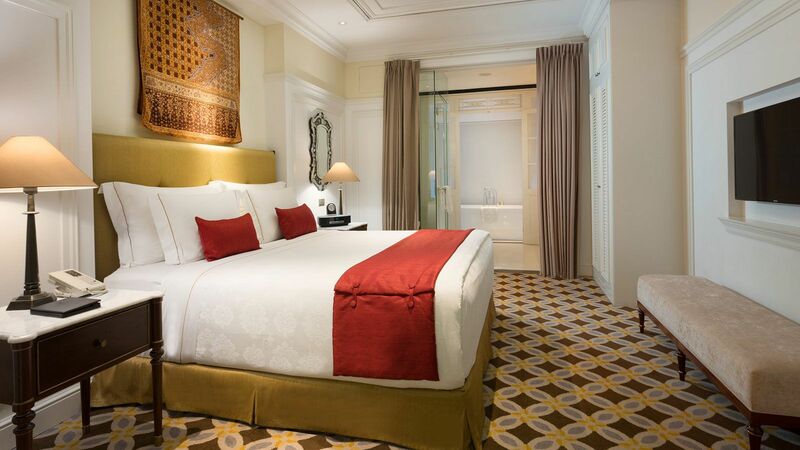 Well-appointed and elegant room with a Colonial design, this room blends luxury and comfort for luxury accommodation. 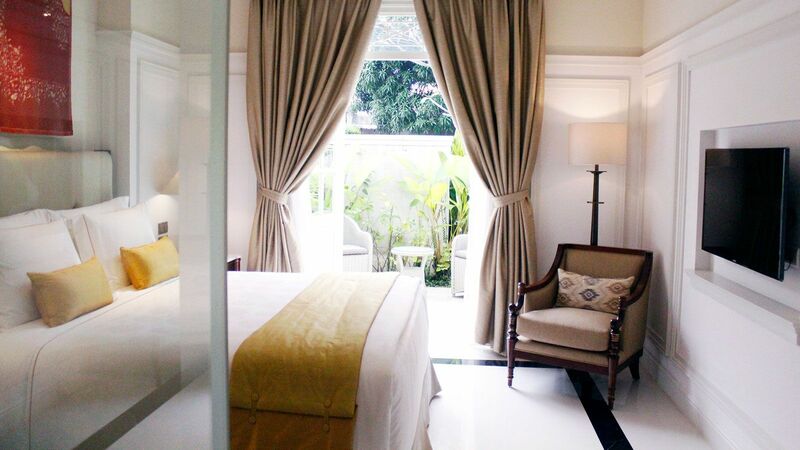 These rooms have king bed and are approximately 40 sqm in size. Equipped with a sofa, an comfortable work chair and ample space the environment is timeless and comfortable, a desk, a flat screen TV and air-conditioning. 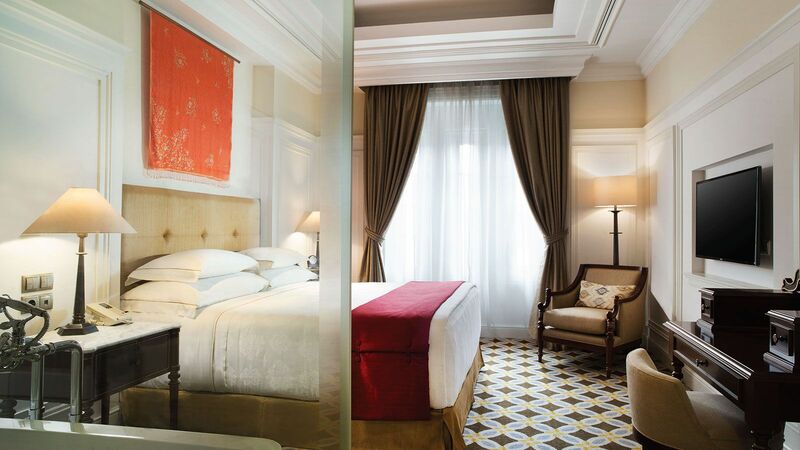 All rooms are equipped with an en-suite marble bathroom comes with a shower, hairdryer and luxurious Etro bath amenities. Everything a business traveler needs for short-term stay in the city. Both spacious and light, our elegant Deluxe Terrace rooms, 40 sqm with an elegantly furnished bedroom and marble en suite bathroom, rooms offering balcony. All rooms equipped with a sofa, a desk, a flat screen TV and air-conditioning. 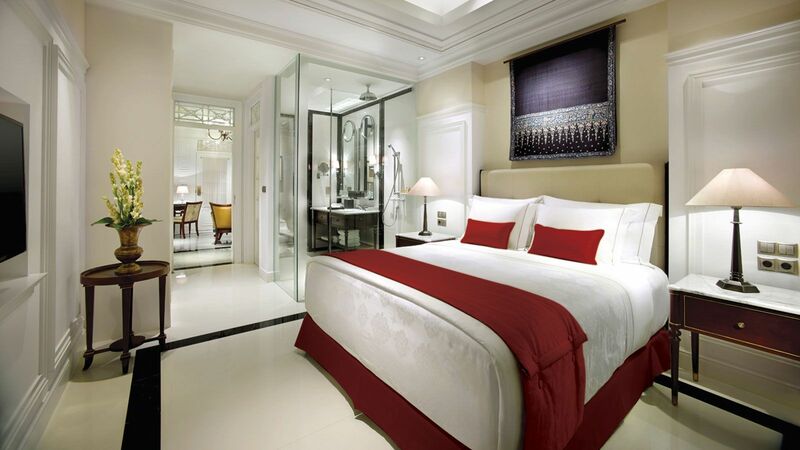 Experience The Hermitage, the perfect night's sleep after a day in the city. With 40 sqm of luxurious living space to enjoy, which are fitted with the finest antique furniture, can be connected to another Executive Room, making them ideal for families or friends wanting to spend quality time together. 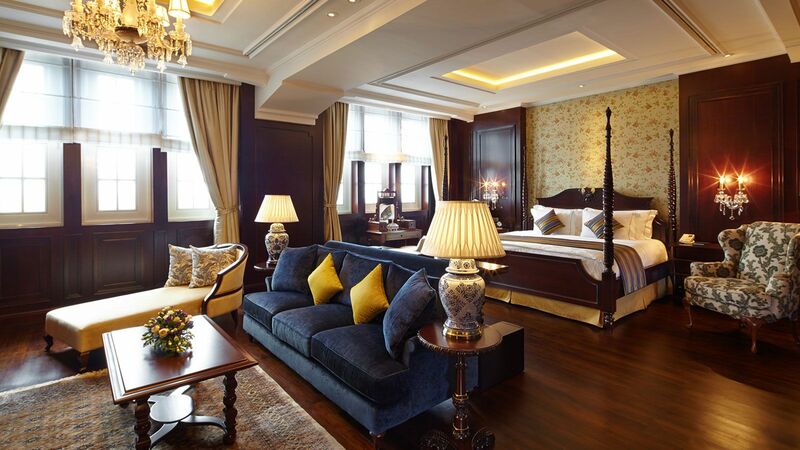 Includes a comfortable and impressive sitting room, elegant bedroom and marble bathroom. Guests can choose between a king sized bed or twin for the perfect night’s sleep after a long day in the city. These Executive Terrace offer guest 50 sqm of generous space. 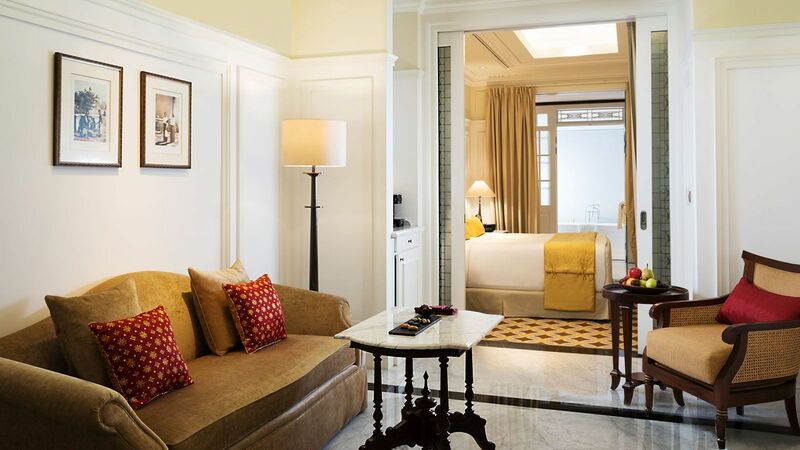 Each Executive Terrace comes with a beautifully decorated bedroom, elegant sitting room and large marble bathroom, with rooms offering balcony. Studio Suite offer guest 50 sqm of generous space. Each Studio Suite comes with a beautifully decorated bedroom, elegant sitting room and large marble bathroom with bathtub. If you are wanting extra space to relax in, then look further our Junior Suite. With 60 sqm of luxurious living space to enjoy our expansive rooms, which are fitted with the finest antique furniture, this spacious air conditioned suite has 2 large flat-screen satellite TVs, electric kettle and living room. 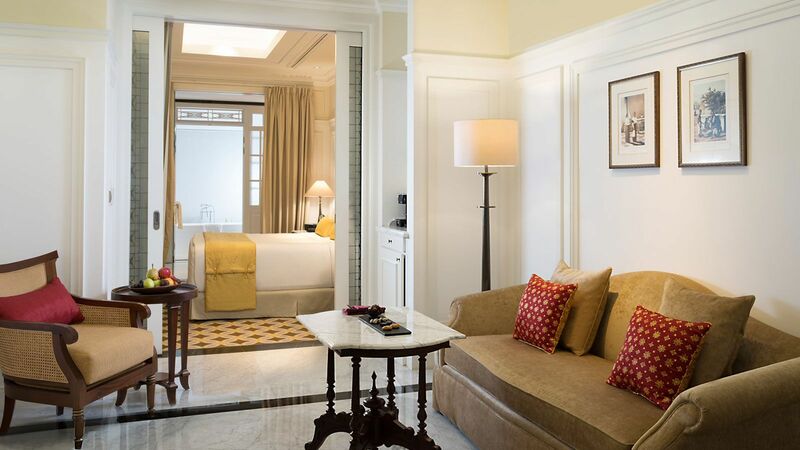 The elegant en marble suite bathroom comes with bath and shower facilities, bathrobe, hairdryer and luxurious amenities. These outstanding suites offer guests a room 70 sqm of living space, which includes a comfortable and impressive sitting room, elegant bedroom and marble bathroom. This large suite is ideally suited to families looking for space, comfort and stylish design. Whilst a choice of living areas allow families room to dine, relax and entertain. Exquisitely appointed, the colonial décor enjoys an elegant feel with leather furnishings, white walls and dramatic black touches such as a large working desk and chic dark window frames.